In the history of bad business decisions, the NFL’s choice to back sideline protestors who kneel during the national anthem should rank right up there NBC and CBS passing on Monday Night Football in 1970 and handing that gold-mine of a franchise to ABC. But since this most recent blunder is so obvious, you must wonder why they think it makes sense. The downsides are obvious: angry fans, declining ratings, and destroying decades of good will that built professional football into America’s Game. Most industries facing a public relations meltdown like this would go into immediate crisis mode and find a way to placate their enraged customers. But the NFL has yet to even acknowledge the problem, let alone propose means of fixing it. The kneelers are protesting what they see as the innate social injustice and racial inequality in the United States. Former San Francisco 49ers quarterback Colin Kaepernick, who started it all, explained last year that he was “not going to stand up to show pride in a flag for a country that oppresses black people and people of color.” He added that “there are bodies in the street and people getting paid leave and getting away with murder,” referring to law enforcement. Of course, there are other ways to protest that do not involve showing disrespect to our national emblems. Martin Luther King and his followers made some of the same points by marching in Selma with the American flag while singing the Star Spangled Banner. Players could use some of their personal millions to establish foundations or engage in other positive measures to improve conditions in the country. Taking a knee is cheap; making a difference requires a little more thought and effort. We know why the players are kneeling, but why is the NFL encouraging it? Statements from team management give no clue. New England Patriots CEO and Chairman Robert Kraft issued an unintentionally ironic statement saying “there is no greater unifier in this country than sports, and, unfortunately, nothing more divisive than politics.” So why insert politics into sports? Chicago Bears Chairman George McCaskey said his team is proud “to bring peace and unity together through football.” Is this what peace and unity looks like? Teams have also said they are standing up for free speech, which is an absurd point since businesses have a right to regulate employee speech on-the-job, as the NFL has done in the past with players espousing other causes. Another cop-out is the attempt to make this all about Donald Trump. The president weighed in on the issue over the last week with a series of bold statements and tweets leaving now doubt that he feels the players are insulting the country and should be fired. NFL commissioner Roger Goodell said that President Trump’s comments were “divisive” and show “an unfortunate lack of respect for the NFL.” He added that “the NFL and our players are at our best when we help create a sense of unity in our country and our culture.” Again, does Mr. Goodell really think he is helping create a sense of unity? If the NFL has a strategy for getting out of this situation it is not apparent. The Pittsburg Steelers tried to avoid the issue by staying in the tunnel while the anthem played, but were booed when they emerged. On the other hand, Steelers offensive tackle and veteran Army Ranger Alejandro Villanueva broke ranks and saluted the flag, and his jersey became an overnight best seller. Will the virtue-signaling NFL leadership take the hint? It remains to be seen if Roethlisberger’s idea catches on. If not, where does it end? Will kneeling for the anthem become a stale pre-game ritual, continuing to anger fans but losing impact from overuse? Will the NFL dedicate a month to social activism, as some players have proposed? And what happens when players bring other causes to the sidelines, like pro-life, support the troops, or honoring law enforcement? What happens to those First Amendment arguments then? The NFL desperately needs a face-saving way to make this issue go away. But it starts with awareness that they have a problem, which may be too much for the leadership to admit. Maybe when they see their bottom line shrinking it will get their attention. James S. Robbins is the author of Native Americans: Patriotism, Exceptionalism, and the New American Identity. 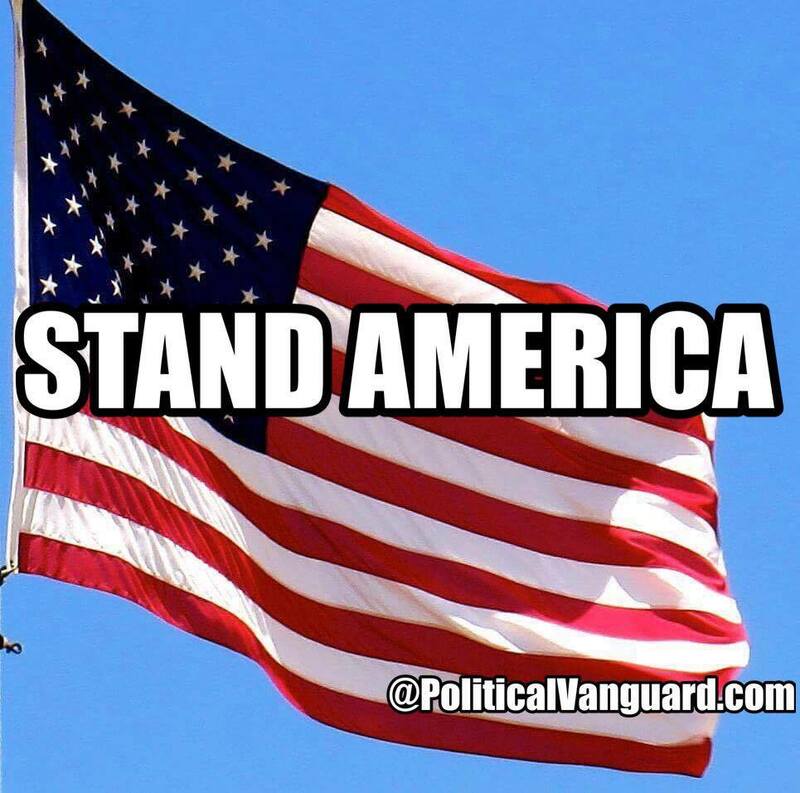 It is totally disrespectful not to stand during our National Anthem. It is being used for political and should not be in football. They are disrespecting all the Service Men and Women who fought and died for our country, If these NFL players do not love our Country of the United States of America, then they should find another country. Keep politics out of sport. SHAME ON THE NFL for allowing this this to happen. These players are making millions of dollars for their actions and they should be directing their energy to more positive things. I have a simple solution to this problem. Have everyone who loves this country and is vigorously opposed to this racial gesture, simply boycott . Then the owners, who are mainly liberals, will have to put a stop to this idiocy. Believe you me, they will ! They all love the all mighty dollar don”t they? Sometimes, you have to fight fire with fire. The good of this country will then prevail. What moderation are you waiting for? In our den, I have a picture of a family member who was killed while serving our country. When I see it, I think of the NFL, and it angers me. Our individual rights are important; it is part of the reason some have paid the ultimate price. To publically disrespect our flag and what it represents is not a wise use of those rights. To think they will bring around racial inequity by disrespecting our flag is crazy, and last time I checked police shot and killed more whites than blacks. I stopped watching my team the 49’ers the day they did not suspend colin kaperdickhead, I know will absolutely not watch any nfl games anymore. Think of all those young men who worked so hard to get to nfl way to go nfl you screwed your own!! I am proud of Mark Davis of the Oakland Raiders. He stood and put his hand over his heart. Derek Carr stood for the anthem. The other players should be suspended for the game if they kneel. Then they can come back and try again the next week. It will be interesting to see one or two players on the field for the whole game. Playing Ironman football. Their rulebook clearly says that they shall be standing on the field prior to the National Anthem being played and to hold their helmet in their left hand and right hand over heart when it is playing. It talks about fines, penalties, etc. Why aren’t they enforcing those rules?? because of this latest left sponsored controversy,i have learned much to my dismay that us taxpayers have been subsidizing the stadiums for the nlf super rich,and their rich players.this is decadence at its finest,and obviously sponsored by their lobbyists,and endorsed by our corrupt congress.i am finished with the nfl;i’ll never allow them on my tv. again.they DISGUST me.